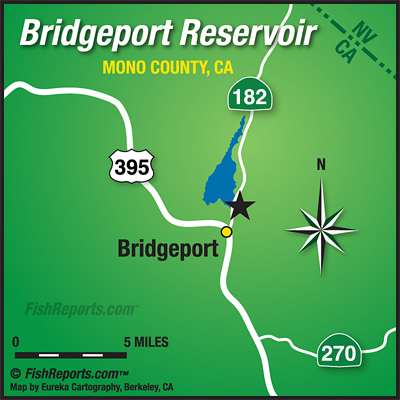 Bridgeport fished off the hook again this week with fish up to 13.5 pounds making a showing! There were also a 10.5 pounder and a 12 pounder reported, both caught from the shore. There are lots of techniques working well, boaters either trolling with crawlers, Rapalas, speedy shiners and needlefish have been doing well, boat bait anglers are doing well with inflated crawlers, mice tails, pinched crawlers and powerbait in the Buckeye Bay area as well as off of Rainbow Point. 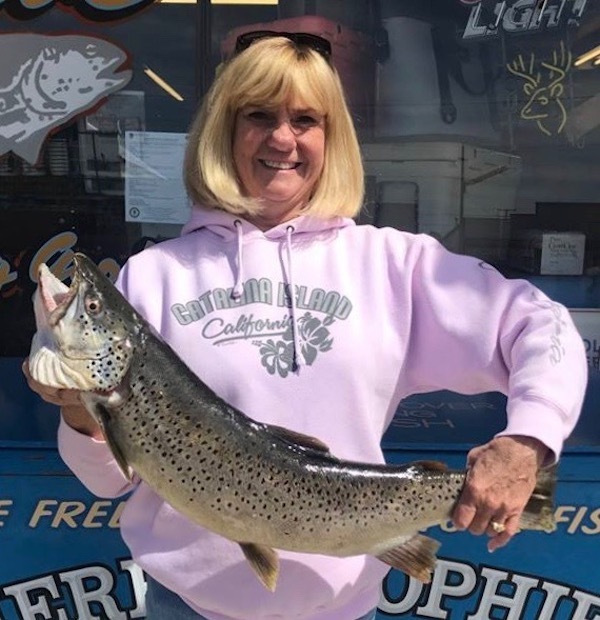 Shore anglers are doing well with powerbait, inflated crawlers, pinched crawlers and mice tails, as well as casting lures like Rapalas and Thomas bouyants in the mornings and evenings. Fly anglers are doing the best pulling streamers down near the dam, wooly buggers, Twin Lakes Specials, zonkers and zuddlers have all been working.